This Instant Pot Mini Hunter Chicken recipe looked really good so I thought I would give it a try. It is cooked in an Instant Pot so I knew it wouldn’t take all that long to put together. 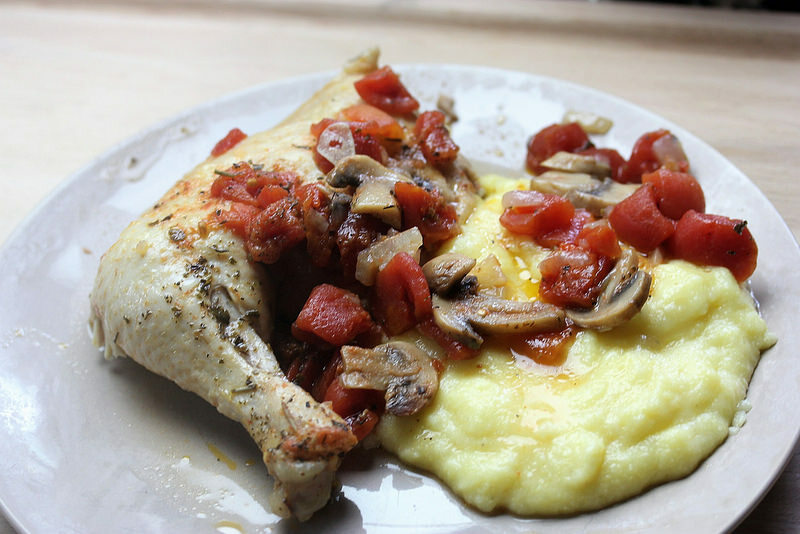 Because of the type of sauce in this recipe I thought it would be real good served over pasta, but the original recipe served this dish over polenta. Well I have never made polenta before so I thought I would give it a try. I have include a link to the recipe for the polenta I used because it is some of the best I ever eaten; give it a try. The only thing I would do different with this recipe is to allow a little more time to cook the sauce down, to thicken it a little bit, after the chicken is removed from the Instant Pot. Select the sauté function on the instant Pot. When the inner pot is hot add the oil, onion, mushrooms, and garlic and cook until mushrooms have given up some of their moisture; about 5 minutes. Add the wine and stir off any dripping stuck to the bottom of the inner pot. In a bowl mix together the tomatoes, water, and seasonings until well combined. Place the chicken over the mushroom mixture and pour the tomatoes over the top. Secure the lid and set Instant Pot to pressure cook for 20 minutes. When pressure cooking is done carefully turn the valve to vent to release the pressure and then carefully remove the lid. Remove the chicken to a serving platter. 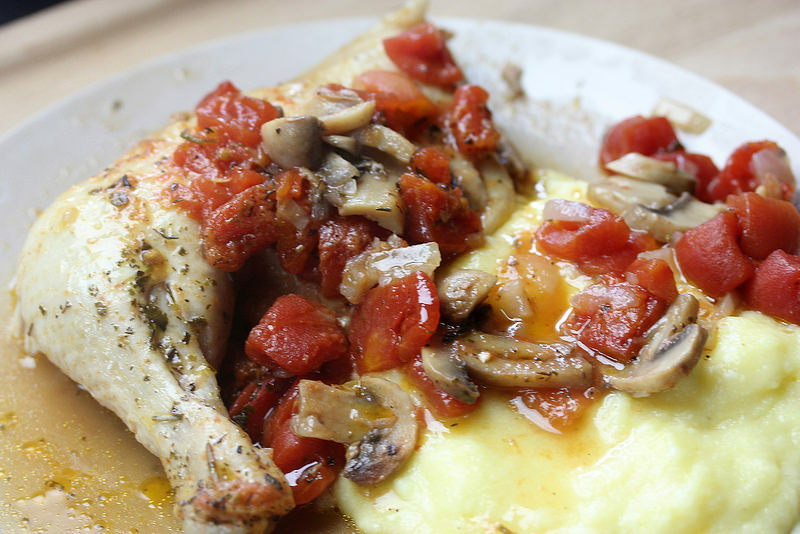 Serve the sauce and chicken over polenta – or pasta your choice.